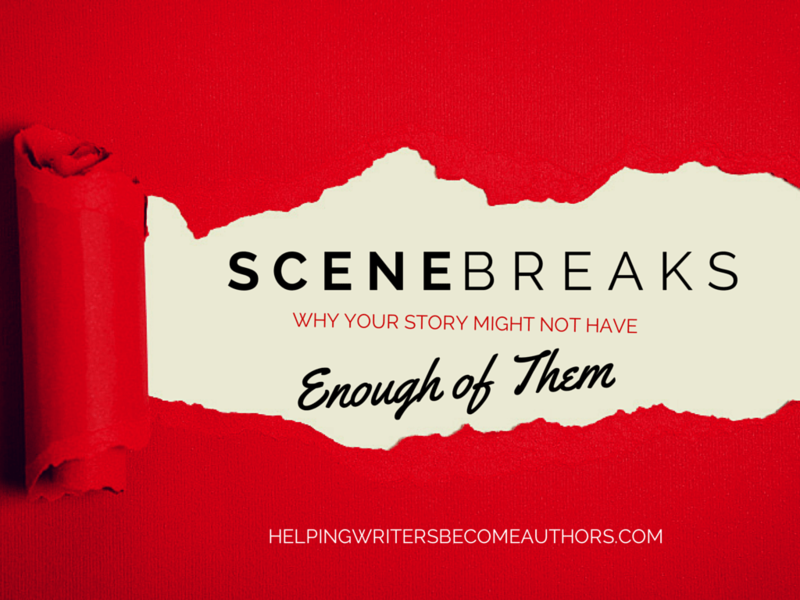 This week’s video discusses two of the little-considered abilities of scene breaks—and how you can put them to work in your story. Scene breaks are your friends. Better than that, they’re like your super-secret, totally-ready-and-willing-to-go-the-extra-mile worker elves. They’re this tiny little technique that can be used in all kinds of ways to subtly tighten and perk up your writing. They’re also a technique we take for granted. We stick one in whenever there’s a POV switch or a setting change in the middle of a chapter. But scene breaks can be used for so much more. Today, I want to focus on two awesome abilities of scene breaks. Because scene breaks can indicate the passage of time in the blink of an eye, they can contribute to a much faster, tighter pacing than if you were to indicate that passage of time by telling readers about it. So instead of writing, “John went home to sleep on the idea, and woke up the next morning with the realization that it was the worst possible decision he could have made”—if you use a scene break to replace even this single sentence of description, not only is the passage of time relayed more efficiently and effectively, it also contributes to a much snappier transition. Scene breaks have the ability to kind of jar readers—in a good way—and to snap them to attention, thanks to this sudden blank spot on the page. In short, they’re noticeable. And, as such, they’re much less likely to be skimmed over or missed than might a sentence, such as the one about John sleeping. 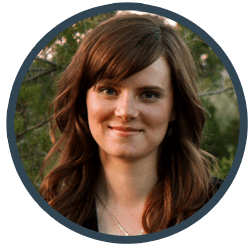 Using a deliberate scene break after a shift in time or setting provides your readers with a better opportunity to orient themselves in the change. Now, of course, there is also such a thing as having too many scene breaks in a book, so we don’t want to go overboard with this technique. But consider how an adept use of scene breaks might tighten your story’s pacing and strengthen its clarity. Tell me your opinion: How often do you use scene breaks in your story? I love the idea that scene breaks keep a reader engaged. I skim when I read. Although I never really thought about it, a scene break does bring me back into the action. It forces me to slow down and actually read the action that happened before and after the break. As always, excellent advice! I’m a fast reader too, and I just realized how much I relied on scene breaks to signal a shift. I was reading an otherwise pretty good novel that incorporated practically no scene breaks. The narrative kept skipping days with no warning, and I found myself constantly having to go back and re-orient myself. And, granted, that’s partly my fault as a speedy reader. But there are a *lot* of speedy readers out there, and writers would be wise to realize it. How does a scene break differ from a new chapter? A scene break occurs within<>/i> the chapter. Could you talk about the scene breaks that cut an integral scene in the middle? My feeling is that the split scenes in TV are there because of commercials and the competition from other programs on other channels…the producers don’t want us to switch channels. However, reading a pure book (other than enhanced e-books and whatever they may bring in the future) is a different medium and a different experience. And while I’m at it, I really appreciate your insights, although I suspect that many “newbies” may miss some of the intricacies. Your posts tend to go deeper than most “how-to-write” blogs. I would only ever recommend breaking in the middle of a scene at the end of a chapter – and only then when the flow and rhythm of the scene allows it. This technique often is is a cheap trick, but only because the payoff is weak. I just saw the end of an old two-part Gunsmoke episode that cut just as the character dropped a bottle of nitro. Oh, no! Does he live or die?! But, then, of course, he catches the bottle at the beginning of the next episode and all is well. Whatever anticipation the audience was suffering under in between episodes was resolved in a matter of seconds. I see this all the time on modern television. A shocking revelation is revealed – cut to the commercial – oh, whoops, it was all a misunderstanding that gets immediately explained away. So the success or failure of this technique is always going to come down to how honest the author is being with the reader. In my current novel, I have some filler scenes. I’ve realized that some of them are really unnecessary, because they have no impact on the plot, yet so far I wasn’t bold enough to just break them or even delete them completely. However, after reading this blog, I think I will be bold enough to skip right to the real action 😉 Thank you! When in doubt, skip the boring stuff! Glad you enjoyed the post. This is something I’m still learning. I make sure to have one after an exchange of long dialogue or/and a change in part of the setting. You won’t *necessarily* need a scene break after a lengthy dialogue scene – only if the scene actually shifts in some important way. This is definitely one of those tools that’s important to understand, but easy to abuse. I recently edited a novel in which scene breaks were being used to punctuate important moments or realizations–after which, the scene would carry on from the same place, time, and perspective. These are the TV-style breaks Sheryl alludes to above, which is not a proper use of the device. When section breaks are used too often, a novel can become abrupt and jarring. If they’re showing up every page or two, or more than once on a single page, that’s certainly too much. But used well, then absolutely, scene breaks are a great way to maintain the pace and direct your reader’s experience. This is a good qualification. As with any technique, it’s important we understand before we use it. Scene breaks are over-used so much in The Representative to the point of non-existence; the entire text is like the inverse of the traditional narrative, made-up of one-long scene-break occasionally interrupted by short announcements of narrative. scene breaks are a must. I use them a ton because it helps with cutting out the fluff. Readers don’t want to know every single thing of every single minute. It’s all about the pacing like you said. Keep that momentum going and give the readers stuff that is necessary to the story. I used a lot of scene breaks in one particular chapter because it had a lot of action and I wanted to keep the intensity of the situation, the scene, in the reader’s mind. I felt that if I made it all smooth without breaks it would have lost a lot of its intensity. That was my feeling at the time. We don’t want to overkill our scene breaks, as Harrison points out in a previous comment, but they are definitely great for ramping up the pacing. I assumed that for one chapter it would fine do it. I have a chapter that has scene breaks sometimes after one or two sentences. 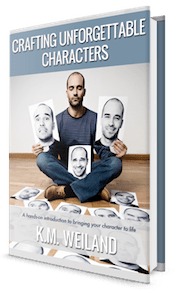 What happens with POV character #1 triggers a response in the next POV character, and so on, i.e., each little scene is the Stimulus for the next scene and POV character, which becomes the Response and then the Stimulus for the next little scene. I’ve been told it works and is very visual, but I was a little scared to take on the challenge. It’s interesting how one’s use of scene breaks can affect the formatting of the entire manuscript. Because of this one scene, the formatters recommended not using the ***-style of scene break, but to simply drop down an extra line for all my scene breaks. Really! That’s an interesting recommendation. I always recommend asterisks over extra lines, the reason being that, should such a section break happen to fall at the end of a page, then it becomes basically invisible, leading to confusion at what seems an unprompted change in scene. Here’s a good rule of thumb: “Hard” scene breaks – in which there’s a concrete shift in setting or time – should get asterisks (or whatever). “Soft” scene breaks – in which the scene is broken only briefly, by a POV switch or by a very slight shift in setting or time – should get just a blank line in between paragraphs. This is an interesting technique! Momentum and pacing is everything. I have scene breaks but I haven’t consciously thought about their usage. Scene breaks for me typically occur at the end of chapters or a few times in really long chapters. And that’s fine if that’s all your story calls for. No need to shoehorn in scene breaks unnecessarily. But in some of your longer scenes, you might evaluate whether a scene break or two would help jazz up the pacing. I virtually always use the *** but it made sense to change it for this particular book. It really doesn’t matter *what* you use. Asterisks are standard for manuscripts you’ll be submitting. But any symbol or image can be used in a published book. I am new to the manuscript submission process’s and I was wondering about the mention that “asterisks are standard for manuscripts being submitted” Could you expound briefly? Thank you. I have learned SO much from your posts! When you’re submitting a manuscript, you want to adhere to standard formatting, which is always no-frills and straight-forward. Three asterisks, centered on the page, indicates a scene break in the middle of a chapter. Thanks for this suggestion. I never thought to do this in my manuscripts. Now I have an idea of something to add in my revision. Me: The children’s plot is only a small part of the series. I can cut out the specific scene and it wouldn’t change much of the series. 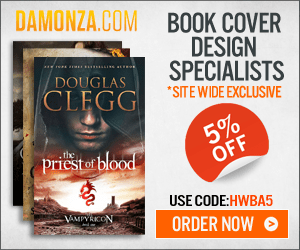 Beta reader: No don’t cut that part out! It is interesting! It is the part I want you to keep and develop. Cut out the rest of the story. Me … I need a second opinion, perhaps? I’m lost on what to do. I will try his suggestion and draft a makeshift manuscript where I have story a and b completely separate and just put headers in where I want to refer to the parallel story, but can’t at the moment. Either the beta reader is off base, or the new POV wasn’t set up well enough in the beginning. It might be part the latter. I started telling with a about a page of exposition dealing with the beetle’s backstory. I’m planning to snip much of that and deal with some vague points: Are all the beetles sentient or just a couple? If two are sentient, what made them that way? Does this have to be told in this story or right at the beginning, or could I show it later? That said exploring the human city = freedom, but by himself equals loneliness. He has no one to share his adventures with, so that desire keeps him returning to the ant colony. The adult characters: Complaints were that it read as too dark and serious, that the army didn’t read like a real army. My soldiers didn’t seem like soldiers. Moving forward I’ll look back at the flashbacks and info dumping I put in the first 3-4 manuscripts. The complaint is that I am harsh and unrelenting on his past. My father’s complaint: He just wants the kid’s side of the story because it was the comic relief. Views the adult side of the story too mature for a plot following bug people. When it comes to scene breaks, there’s a situation in my story I’m not sure about. Would moving from one room to another in the same house need a scene break? The time is continuous, and the POV remains the same. I’ve been using scene breaks with this type of change in location, but it seems like a bit much. Your thoughts? Unless it takes a significant amount of time to get to the other room, I would keep the scene continuous. For me, this post was, “ah, so *that’s* the name of what I’ve been doing.” It sounds like I’m using them correctly, too, which is great, and now I know what to call them.